Battle Tek Athletics is pleased to announce the launch of its website this week. Battle Tech Athletics has gone live with a functioning e-commerce site designed to sell and promote its specialized line of athletic clothing. Battle Tech Athletics’ latest promotion of athletic clothing involves its beast series of singlets, performance T-shirts, and fight shorts. Battle Tech Athletics is bundling the three elements of its beast series singlets, T-shirts, and fight shorts into an extraordinarily discounted package that is now available through this website for purchase. 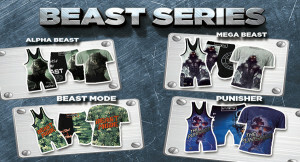 Featured in this package are the Alpha Beast, the Mega Beast, the Beast Mode, and the Punisher. These packages are suitable for use in training and athletic competition. 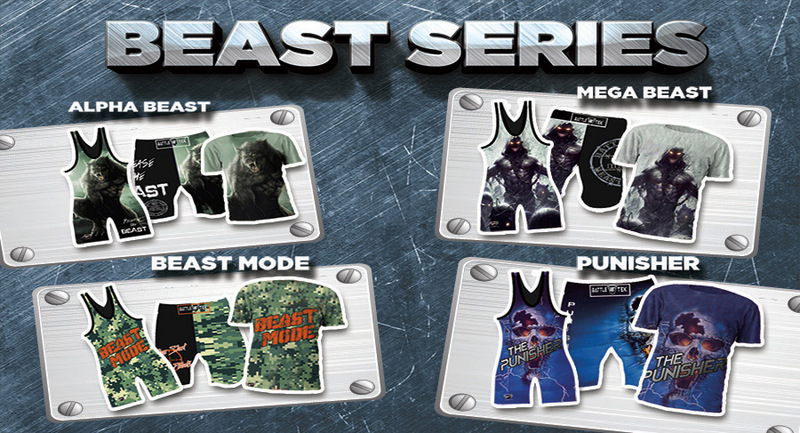 The beast series are available in both youth package sizes and the adult package sizes. Each design features sublimated dyes designed to stand up to a grueling performance in the face of competition. This entry was posted in home and tagged fight shorts, performance t shirts, singlets, wrestling packages.